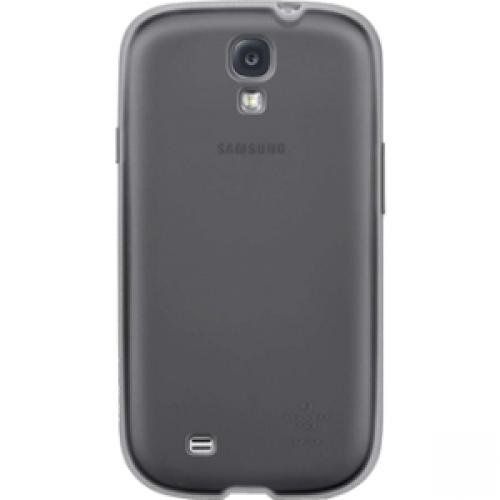 Belkin products, The Grip Candy Series Flexible Gel Case for Samsung Galaxy S4. Gravel/Stone version. - Textured edges for a secure grip. - Wraparound frame protects screen from scratches. - Allows full access to controls, ports, and camera. - Slim form-fitting design with full button protection. - Two-tone palette with soft-touch finish.